The Custard TV: ITV's new Comedies Vicious and The Job Lot: Are they good enough? ITV's new Comedies Vicious and The Job Lot: Are they good enough? When The Royle Family started in 1998 it was quoted with changing the face of British comedy. The single camera series based entirely in a living room, with no 'jokes' was an unknown quantity in a time where our first taste of auto-tune came from Cher's Believe. Comedy before the Royles was studio based, filmed in front of a live audience who would provide the soundtrack. The sound of audience laughter wasn't a distraction or an irritant, it was just expected and accepted as part of the viewing experience. The Royle's changed that. Victoria Wood is quoted as saying that The Royle Family instantly ruined her studio based sitcom dinneraldies, making it feel outdated and old fashioned. For the majority of the noughties, comedy writers and producers appeared to shun the studio audience. Opting instead for a more realistic feel without raucous outside laughter every few minutes. Imagine The Inbetweeners with a laugh track. It wouldn't sound right would it? Even Phoenix Nights, which in tone was perhaps more suited to the traditional treatment felt better without the studio audience poking its nose in with every punchline. On the other hand, my all time favourite comedies like Only Fools & Horses, Blackadder and One Foot in the Grave would feel deathly quiet and generally odd. I'm not anti studio audience. I've been to a few live tapings and it's an exciting and thoroughly enjoyable experience. Some comedies are better suited to that style and I'm glad with the rise of series like Not Going Out, Miranda and the anti-christ of modern day sitcoms Mrs. Brown's Boys it's making a comeback. On Monday night ITV took a risk. Monday nights had been the home of one of their successful crime dramas in recent memory but as Broadchurch reached it's unsatisfying conclusion (still bitter) they decided the audience would perhaps crave a bit of lighter relief on their Monday nights. Under the slogan of laugh in the face of Mondays, two new comedies launched. 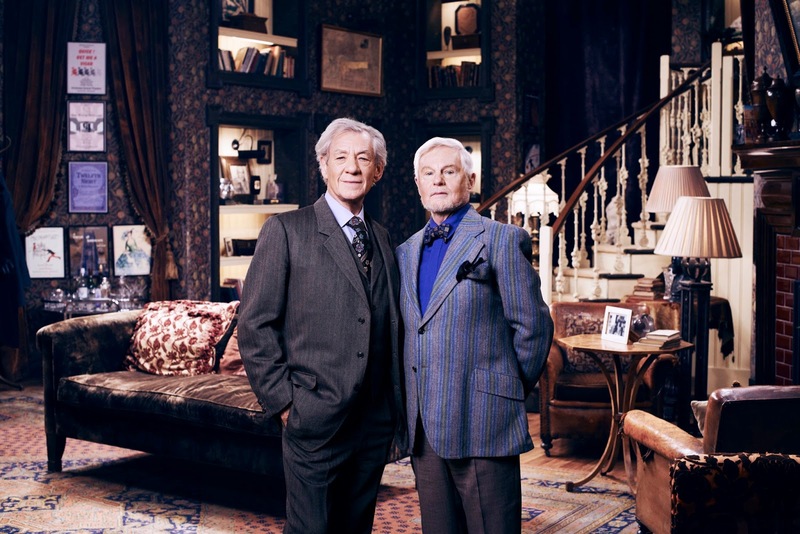 Vicious is a throwback to the studio based comedies of the 80's and The Job Lot is the more contemporary with no studio audience and more observational based gags. ITV appear to have so much faith in Vicious that they commissioned a Christmas Special before this first episode had aired. I despised Vicious from the opening sequence. It isn't the studio audience that makes this feel incredibly dated. It's the gags and the characters. Derek Jacobi and Ian McKellen are without question two of the countries best actors but in Vicious the pair are reduced to cartoonish characatures of a gay couple. 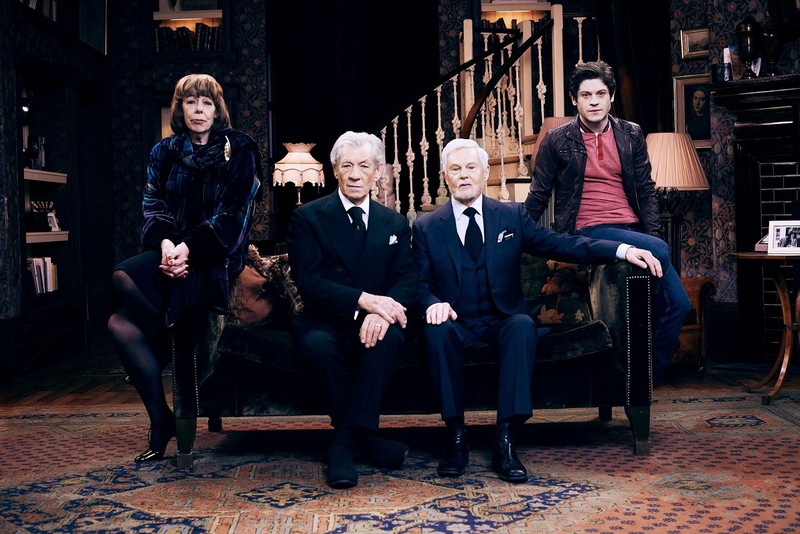 In the case of Vicious the studio audience setting wasn't what made it feel it dated, it was the over the top performances and the sheer predictability of the jokes. The characters played by our leads were so stereotypical it was as if they were plucked from some sub standard and instantly forgettable 80's sitcom. Don't get me wrong I didn't expect either of these sitcoms to be ground breaking but Vicious felt like a step backwards. The high ratings can be attributed to the curiosity surrounding the series and the amount of trailers ITV have been playing for this. I've seen the opening episode of Vicious and that's enough for me. In contrast, the style and tone of the last half hour of the 'comedy double bill' was the almost the antithesis of Vicious. The Job Lot, starring Him & Her's Russell Tovey was more current in theme and in feel. The comedy was more observational and less in your face. The characters were easier to relate to and the gags more relevant. That's what I found particularly peculiar about the idea of grouping these together. I don't think the Vicious audience is the same audience as The Job Lot. Though The Job Lot showed more promise in terms of where the characters could go I wasn't particularly impressed with this either. In lots of ways ITV should be commended for taking a risk on a Monday night but for me it didn't pay off. Neither of these brand new comedies offer anything memorable at all and I for one wish they'd focused on something different and perhaps placed these to rival the equally dated Ben Elton sitcom The Wright Way which is stinking up BBC1's Tuesday night. Whilst the idea of ITV showcasing two new comedies is a refreshing, I couldn't help wondering why (much like BBC1) we appear to have lost the magic of a twenty years ago where comedies were celebrated and loved instead of moaned about and mocked.